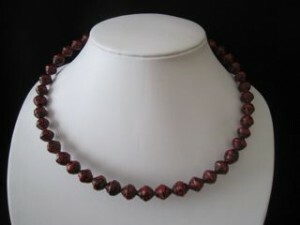 Paper Bead Jewellery Now in Stock! For some unique pieces of jewellery (don’t forget Mother’s Day is coming up!) head to my online store. I am happy to do custom designs upon request. These pieces make such a beautiful and personal present for occasions such as Mother’s Day, birthday, Christmas and to say “I Love You”. Traditionally the first wedding anniversary gift is paper – paper jewellery – what could be more perfect? Contact me for further information. Classes will be starting soon, so register your interest for these too. Want to make your own paper beads? Need a gift for someone? 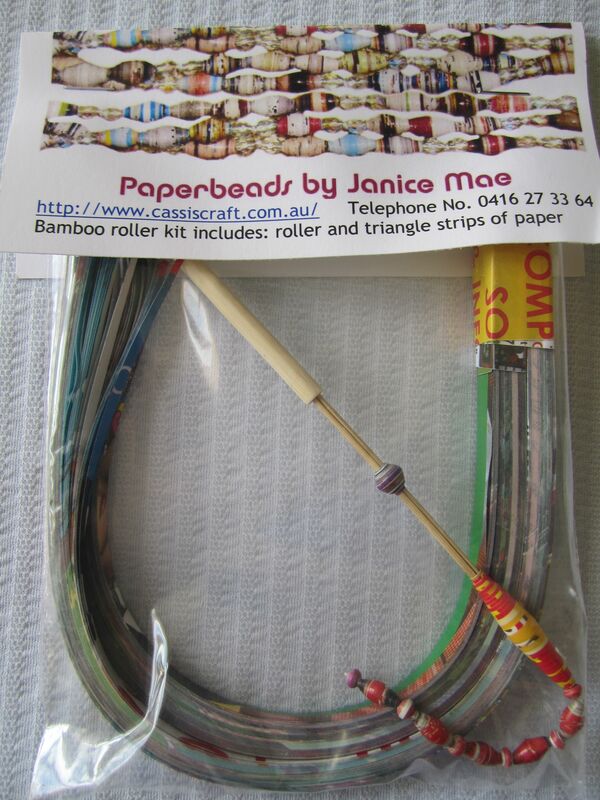 As I have written earlier, the Bamboo Roller Kit comes with a beautifully decorated bamboo bead roller and some precut strips for making beads. Just slip the paper beads between the 2 pieces, roll and glue*! Easy! For greater durability, gloss and water resistance, coat the beads by painting or dipping them into the glaze 2 – 3 times. The glaze will make the beads water resistant but not waterproof – showering or swimming whilst wearing the beads is not recommended! 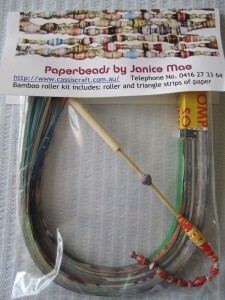 The Bamboo Paper Roller Kits and Glaze are now available for purchase in my online store. 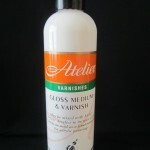 The Kits and Glaze are available separately or buy both to save on postage. 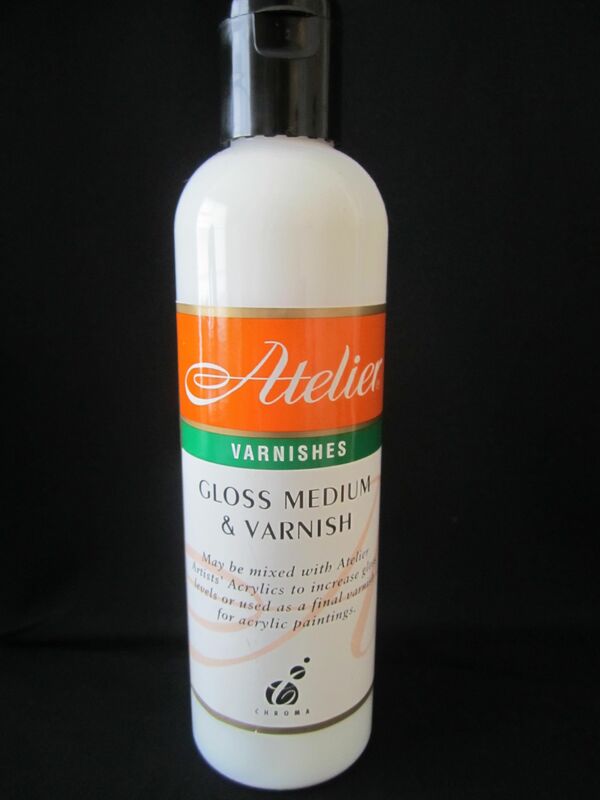 All prices are in Australian dollars and include postage within Australia. Overseas postage is calculated at checkout. * Glue not included. Any good quality glue stick can be used. I am very excited to announce a product that I will be stocking in my supplies range and I am the only one in Australia with them. 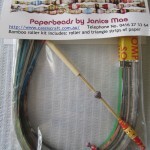 Through Janice Mae, I am now stocking the paper bead rollers with paper strips to make beads. These bamboo paper bead rollers are made in The Philippines, her homeland, where her sister has helped many families who now make these rollers and beads. Janice also pledges school supplies to underprivileged Filipino children. These rollers make creating paper beads so easy but not only that, they are beautifully decorated with paper beads! You get consistent sized holes and the paper is held between the bamboo pieces so it doesn’t slip. These will be in my online store after the Craft Fair where they will be displaying them and have them available for purchase. If you are interested in classes using these rollers to make beautiful, versatile paper beads to create stunning, unique jewellery, please contact me!